For the past several years, experts thought the nation's alarming, decades-long rise in obesity had leveled off. But the Centers for Disease Control and Prevention said in a report Thursday that the obesity rate has climbed to nearly 38 percent of adults, up from 32 percent about a decade earlier. "This is a striking finding" and suggests that a situation that was thought to be stable is getting worse, said Dr. William Dietz, an obesity expert at George Washington University. But another authority, the University of North Carolina's Barry Popkin, urged caution, saying the participants selected for the study may not have been representative of the nation as a whole. 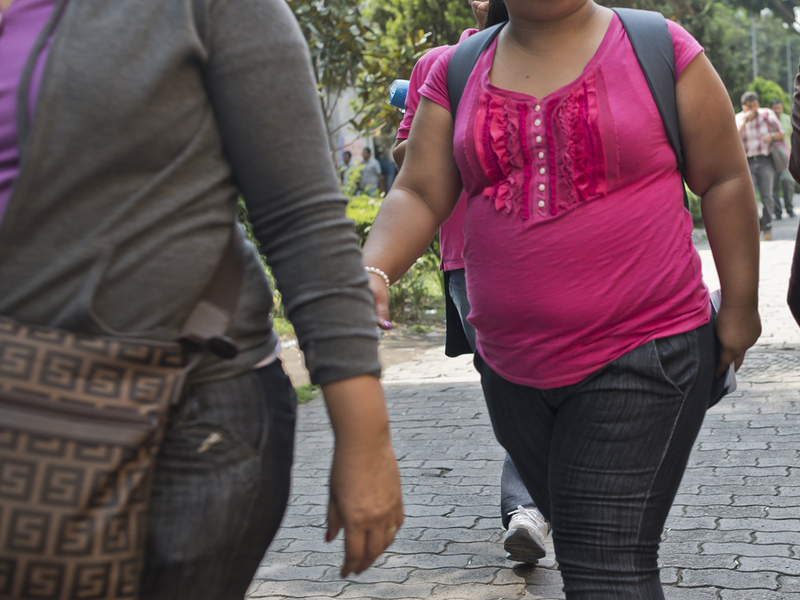 Experts said they had no explanation for why the obesity rate appears to be rising. The report, based primarily on a survey conducted in 2013-14, also found a tipping of the scales toward women. Obesity rates for men and women had been roughly the same for about a decade. But in the new report, the rate was significantly higher for women, at 38 percent, compared with 34 percent for men. Obesity - which means not merely overweight, but seriously overweight - is considered one of the nation's leading public health problems. Until the early 1980s, only about 1 in 6 adults were obese, but the rate climbed dramatically until it hit about 1 in 3 around a decade ago. The new figures come from a regular government survey that involves not only interviewing people about their girth but also actually weighing them. Because of that, it is considered the gold standard for measuring the nation's waistline. However, it has about 5,000 participants each year - far fewer than some other federal surveys that ask about weight. Generally, it can be harder to draw reliable national conclusions from a smaller survey. The widening gap between men and women seems to be driven by what's happening among blacks and Hispanics, said the study's lead author, the CDC's Cynthia Ogden. Obesity rates for white men and white women remain very close. But for blacks, the female obesity rate has soared to 57 percent, far above the male rate of 38 percent. The gender gap is widening among Hispanics, too - 46 percent for women, 39 percent for men. Health officials have been especially focused on obesity in kids, who are the target of the Let's Move campaign launched by first lady Michelle Obama in 2010. A CDC report last year noted one possible glimmer of hope: a decline in obesity among children ages 2 to 5. Their rate had fallen to about 8 percent in the 2011-12 survey, down from 14 per cent a decade earlier.